ETDCD006 - COMPOST "Vegetable Goregrind (Discography 2008-2013)" is out!!! This time Eyes of the Dead productions brings you another plate of our beloved GrindGore, cooked with the particular, groovy recipe of COMPOST. These psychos from Rome (Italy) took inspirations from masters like Regurgitate, Gut and Dead Infection, but gave to their stew a special twist with a weird addiction with... Vegetables! 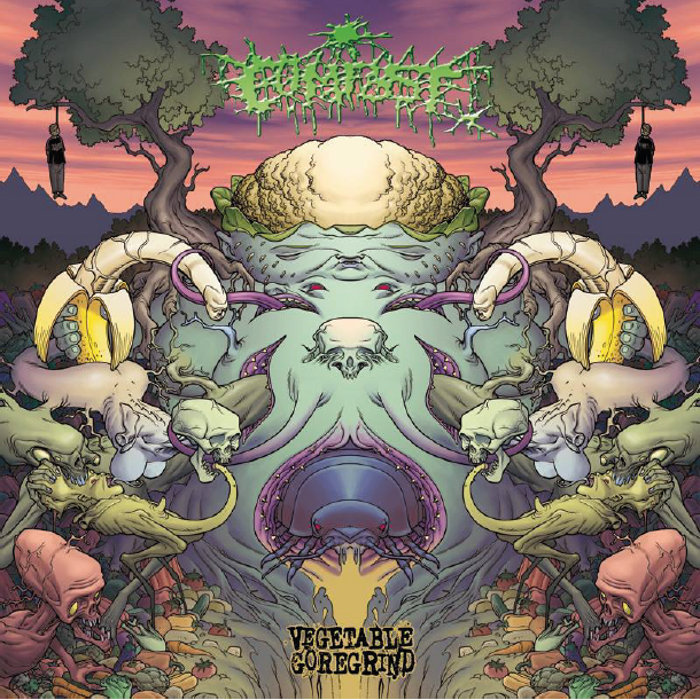 This release compiles everything the band recorded until now: the unreleased full album "Vegetable Goregrind", the 4 splits with Archagathus, Insomnia Isterica, Necrocannibalistic Vomitorium and Ultimo Mondo Cannibale and finally the "Frigoverre" demo. Tape version coming soon through Grindfather Productions! Did you know you can create short urls with LinkShrink and earn $$$$ from every click on your shortened links. Teeth Night Guard is offering precise fitting and high quality custom made dental guards.